There are quite a few overclocking events organised at and around Computex. Last week we reported that a slew of world records had been broken by Intel's latest and greatest Core-X series processors. Now G.Skill has pinged me an email with another impressive new record, this time, of course, for memory speed world records. The performance PC memory and gaming peripherals maker has claimed a DDR4 RAM speed world record. As verified by HWBot, Taiwan's Toppc has pushed a G.Skill memory module to DDR4 5,500MHz. Last year at Computex Toppc broke the DDR4 5,000MHz barrier using G.Skill memory and an MSI Z170I Gaming Pro AC motherboard. This year he returned to the G.Skill sponsored world record stage at Computex to top 5,500Mhz. Of course hardware is upgraded this year. Toppc made the most of new tech delivered by the combination of an MSI X299 Gaming Pro Carbon AC motherboard, and an Intel Core i7-7740X Kaby Lake-X processor. 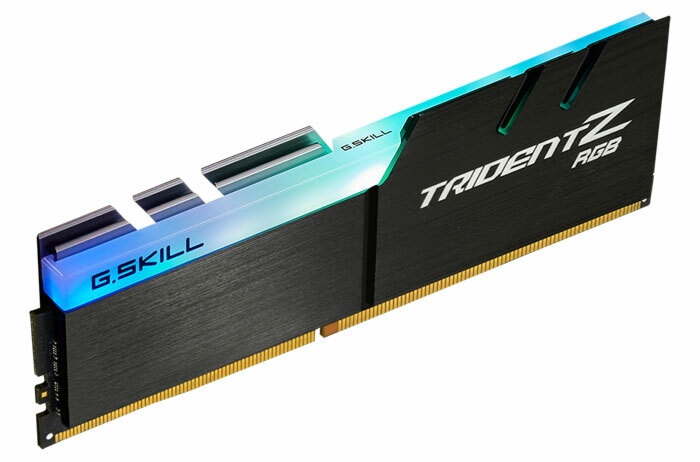 Supplementary tech details shared by G.Skill are that the Trident Z DDR4 memory modules that broke these speed records used Samsung 8Gb ICs. If you didn't guess already, Liquid Nitrogen came into play for keeping things running cool under extreme conditions. G.Skill fully expects the current records to topple shortly due to the "amazing overclocking potential" of the newly released hardware. It's similar to a Bugatti Veyron doing 266mph, it's entirely pointless to the average road user, but it's nice to know that your one million pound supercar can go that fast.